GAME ON! 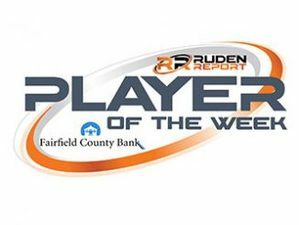 VOTE for The Ruden Report-Fairfield County Bank Players of the Week. Oliver Frossell, Ridgefield Golf. Ruden Report says, "Frossell was the medalist with a one-under-par 34 in a win over Norwalk". Maeve Tobin, Ridgefield Lacrosse. Ruden Report says,"Tobin finished with four goals in a 9-5 win over St. Joseph". The voting ends at noon on Thursday, the winners get our TOTW T-shirts. GAME ON! 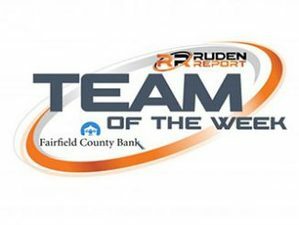 VOTE for The Ruden Report-Fairfield County Bank Team of the Week. Ridgefield Girls Golf Teams! The Tigers defeated Danbury and St. Joseph. The voting ends at noon on Wednesday, the winner gets our TOTW T shirts.